On Location & Classroom Instruction Available – Schedule online and save $10 on your training. 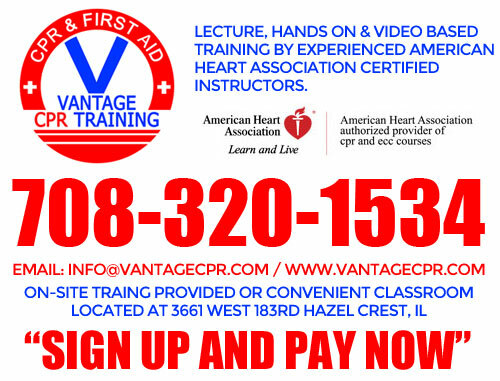 Vantage CPR offers lifesaving CPR/AED, First Aid and Basic Life Support (BLS) classes, training and certifications from American Heart Association. We offer both, a classroom setting and on location trainings. No other company offers the level of service and expertise as Vantage CPR. Call us and allow us to show you the difference. Click here to Schedule and/or to make a Payment.